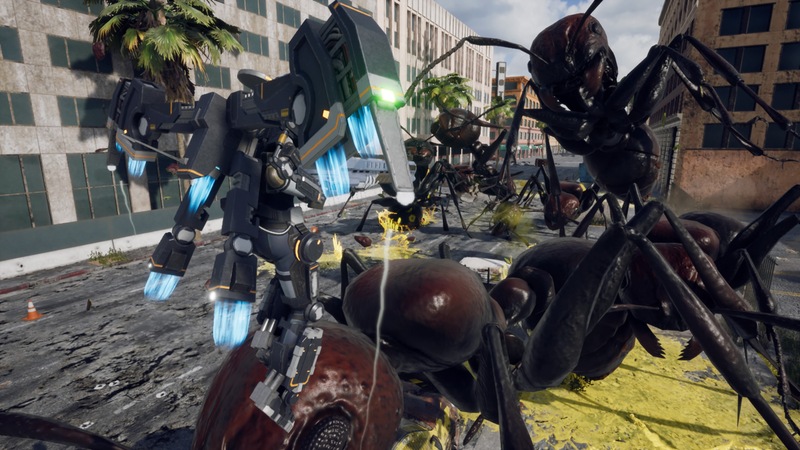 It’s an insect party in the U.S.A.
Earth Defense Force has always won its fanbase over by being one of the most self-aware games out there. It’s simplistic and straight to the point, but that’s all part of its charm. 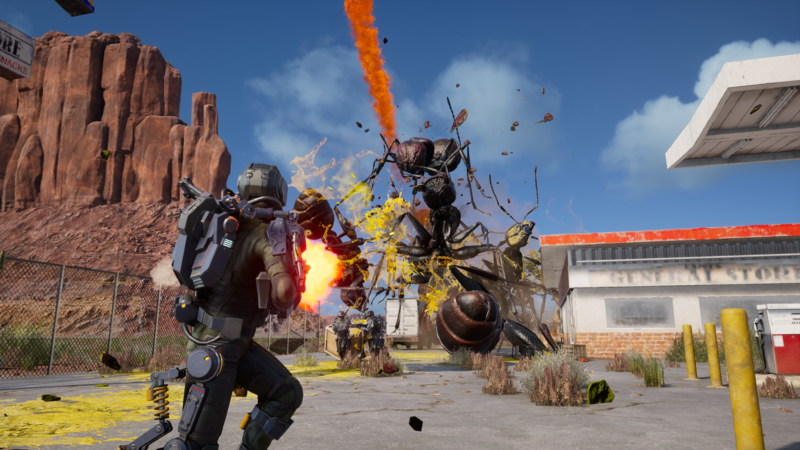 The series has been a ton of fun in the past, but if you read my review of Earth Defense Force 5 you know that I’ve grown a little tired of the copy and past formula. 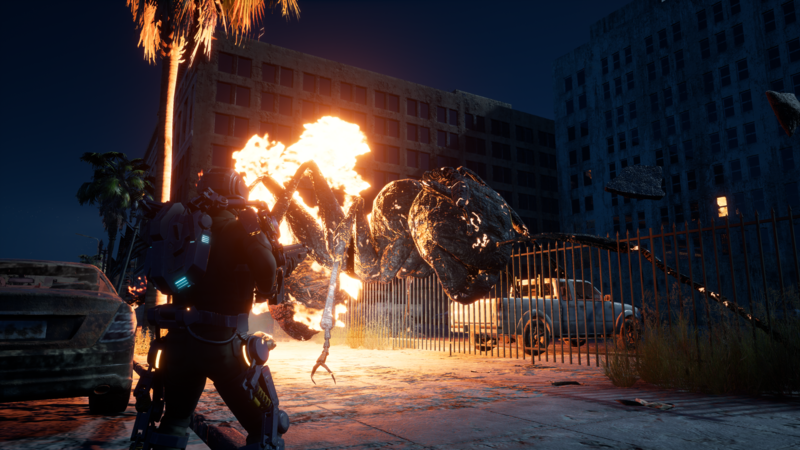 With Earth Defense Force: Iron Rain, the series has finally made the long-awaited jump into the modern era, adding quality of life mechanics and systems that go a long way to make this the best entry to date. Earth Defense Force: Iron Rain has been promoted as the most westernized game in the series, though, I don’t believe this is very accurate. As far as I could tell the only reason this entry is more westernized is the fact that it takes place in North America as opposed to Japan. I wouldn’t call any of the new improvements inherently western. However, the tacked on competitive multiplayer mode definitely fits into the whole western vibe. Of course, you can expect the core gameplay to be virtually the same with some appreciated improvements. Iron Rain is a noticeably well-optimized game, and in most cases, I had a very solid frame-rate on my PS4 Pro. Furthermore, Iron Rain is also the best looking Earth Defense Force game. While it isn’t going to win any awards in this department, the upped visuals really do the epic battles and destruction so much justice. As always, there are few franchises comparable to Earth Defense Force in regard to scale. Battles are still wild, giant enemies are still epic, and taking them down is even more satisfying than ever before. And what’s satisfaction without some epic guns and equipment to take down your enemies? There are a ton of unique unlockables in Iron Rain. From a variety of weapon types, grenades, traps, tanks, jets, and mechs, to various armor types that can be customized with various colors and decals. The sky is really the limit when it comes to customization and the expansive list of personable things you can change is a much-appreciated improvement in Iron Rain. Additionally, you’ll no longer be picking up equipment during every mission. You can now unlock certain items based on the difficulty you play on instead and use a special gem currency that’s scattered throughout each mission. It makes for a more natural progression experience and feels all the more rewarding as you work towards the things you want as opposed to getting them randomly. Another thing that gives Iron Rain a leg up on past games is how well balanced the classes are. As with past EDF games, there are four classes included — Trooper, Jet Lifter, Heavy Striker, and Prowl Rider. Each class comes with a little energy bar that allows you to use unique powers. For the Trooper you can use it to dash quickly in different directions, Jet Lifter can fly, Heavy Striker can use a shield, and Prowl Rider has really awesome grappling hooks. The best thing is the fact that you can equip any weapon to any class, meaning you can really experiment with your own playstyle. Personally, I really gravitated towards Prowl Rider since it’s the newest class and being able to zip across the battlefield really becomes useful when things get too hectic. To top it all off, the Prowl Rider can also summon a giant rideable insect into battle that essentially acts as a free tank. It took some getting used to figuring the Prowl Rider out but once you do you’ll breeze through missions. I should say that Prowl Rider definitely feels like the strongest class, but it’s not like other Earth Defense Force games where some classes feel entirely useless. In fact, each one has its own benefits but every mission is doable with whatever class you become comfortable with. Whereas past Earth Defense Force games have allowed you to customize your armor color, Iron Rain goes as far as letting you customize every aspect of your character including armor, hair, gender, face, build, and more. While it’s not the most in-depth character creator, it adds a sense of individualism to the game. I was able to connect with its world and story with a character that was truly my own. Better yet, you’re given the option to create a multitude of loadouts so you can really personalize your own soldiers for every occasion. Speaking of the story, Earth Defense Force: Iron Rain has a more serious narrative than previous entries. There is something of a cohesive plot to follow and get invested in but it still isn’t amazing by any means. However, it did make everything I was doing feel much more meaningful. Interestingly enough, there’s also a rebellion force who hates the Earth Defense Force and the ways in which they get intertwined into the narrative is all good and campy fun. If you’re just jumping into this game for the missions, you won’t be disappointed. 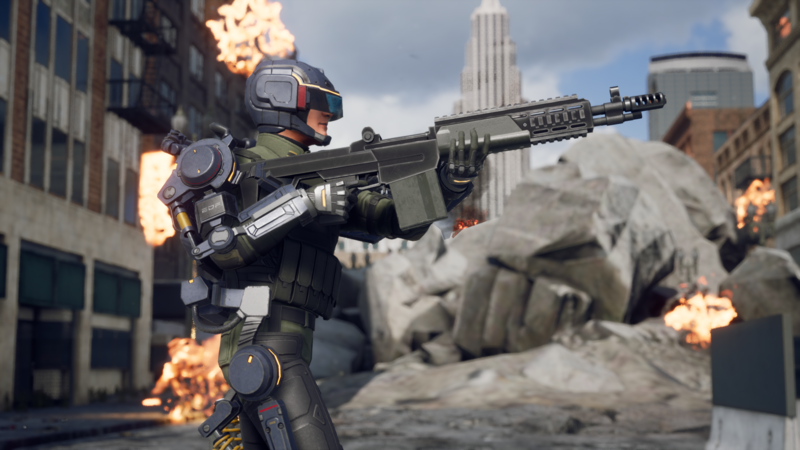 Earth Defense Force: Iron Rain has fewer missions than previous games, but this only amounts to each one feeling more unique. 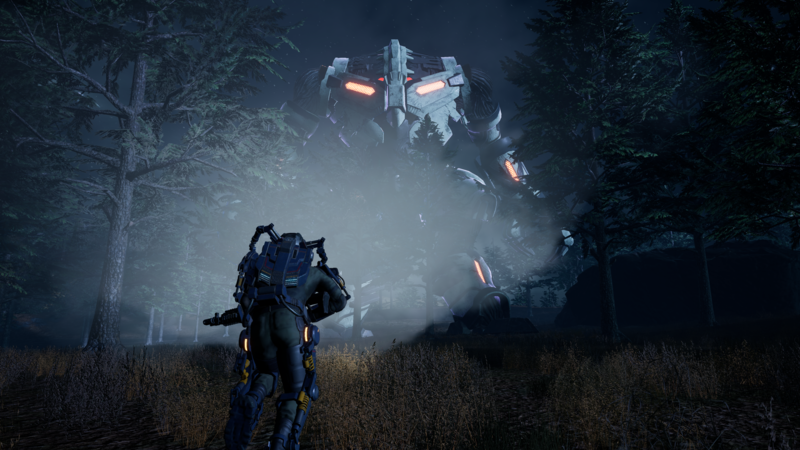 You’ll be defending bases, taking out big bosses, riding in vehicles, running through deep caverns; all of them ultimately amount to killing baddies but the added objectives give players something else to focus on. It ultimately makes everything feel less mindless than ever before. Even the maps see a lot of variety, especially in the later parts of the game. I was very eager to jump into each mission to see the new locales. I certainly had a ton of fun with Iron Rain but did come across some issues. For one, the game did have one particular area where it would crash on me consistently. I’m not sure if this was a specific case for me, though. I did get past it eventually and never encountered it again. So hopefully it’ll get buffed out by the time the game comes out. Additionally, there were a couple of moments that felt really cheap and frustrating. Even on normal difficulty some of the newer mission types are really tough due to the sheer amount of spam some enemies throw at you. As for the new competitive multiplayer mode, I didn’t get to try it. Due to the nature of this review, I couldn’t really find anybody playing online so I can’t look at it critically at all. However, I did jump into the game’s split-screen co-op and as expected, it’s still a lot of fun. As with most modern entries, players can jump into co-op online or offline and that’s always a nice touch in these games. Earth Defense Force: Iron Rain is the best entry in the series. It’s also just a ton of fun, in case you were worried at all that killing endless waves of giant bugs and aliens could be boring. I hope future entries will adopt and adapt everything Earth Defense Force: Iron Rain has added to the series. It’s certainly a better game for it and retains so many of the things longtime fans have come to love about the series. I’m happy to report that the EDF is back in business.